Home Events	SummerSHARE results are in! A big thank you, Charlotte! 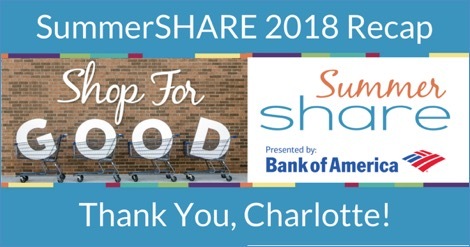 SummerSHARE results are in! A big thank you, Charlotte! 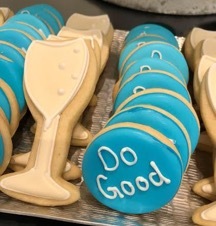 Who helped encourage Charlotte to Shop for GOOD? 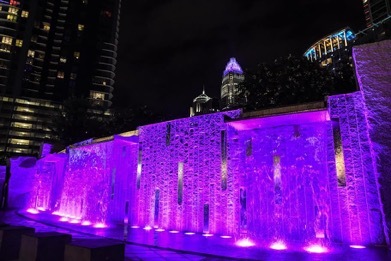 Lyft, City BBQ, OrthoCarolina, and many more- see the full list here. Hundreds of local nonprofits and tons of our Charlotte neighbors! What GOOD did Charlotte do? – Food blogger Chrissie Nelson Rotko raised $515 through Crowdrise for Community Culinary School of Charlotte, allowing them to purchase knives for an entire class of 60 students. – Colleen Brannan of BRANSTORM challenged friends and community leaders on Twitter to shop for their favorite nonprofits. – Junkluggers donated their new truck and their team to transport SHARE’s Pop Up Shop for GOOD to three different locations around the Charlotte area during the week of SummerSHARE. 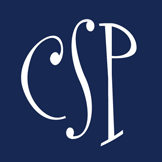 – Cottingham Chalk leveraged their SummerSHARE sponsorship to celebrate their 35th anniversary and brand refresh, engaging their 90 local agents who supported over 20 nonprofits. – OrthoCarolina invited seven nonprofits to share their SummerSHARE needs directly with thousands of local employees. – FOX 46 Good Day Charlotte invited seven nonprofits to play a version of The Price is Right every morning to highlight their Wish List needs. Catch each of those segments here as well as segments from WBTV, WCNC, and Spectrum TV. 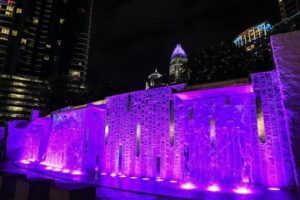 – Lyft offered $5 off 3 rides ($15 total value per customer) to the first 200 shoppers who purchased an item off of Give Shop® and typed the special promo code into their Lyft app. – City BBQ supplied the delicious lemonade that we distributed from our Lemon-Aid Stand for GOOD at Trade and Tryon. South End’s Chalk Wall was covered with GOOD (thanks to a little help from MecklenBear). Check out the full video of our visit with MecklenBear here. 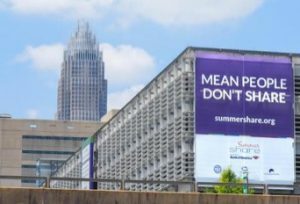 Thanks to our official sponsors, Mecklenburg County, who made this four-story wallscape possible for the entire month of July. Our message was displayed loud and clear to Charlotteans as they entered Uptown on 4th Street. Local author, Kathy Izard celebrated the release of the Harper Collins edition of her book “The Hundred Story Home” and we got a front row seat as we joined Kathy, Fashion & Compassion and Urban Ministry Center at Anne Neilson Fine Art Gallery for a Collaborative Night of GOOD to kick off SummerSHARE. 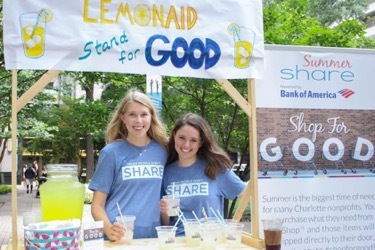 Tuesday afternoon, we SHAREd delicious, free lemonade from our community partner City BBQ at the intersection of Trade and Tryon from our LemonAID Stand for GOOD as we spread the word about SummerSHARE! 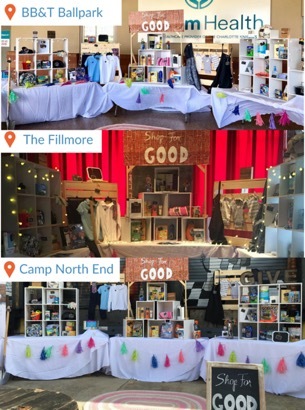 The Pop Up Shop for GOOD, which features items on nonprofits Wish Lists, traveled around CLT during the week of SummerSHARE (thanks to the help of our friends the Junkluggers). The shop made appearances at BB&T Ballpark for a Charlotte Knights home game, The Fillmore for #YPMixerCLT, and Camp North End for a Friday night of fun! 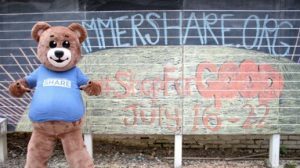 THANK YOU to all who participated in this year’s SummerSHARE! 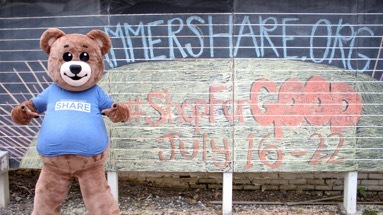 SummerSHARE may be over, but Give Shop® is open year-round! Have you seen our Instagram feed lately? If not, check it out! And give us a follow if you haven’t already! (See what SummerSHARE fun you missed in our highlights). 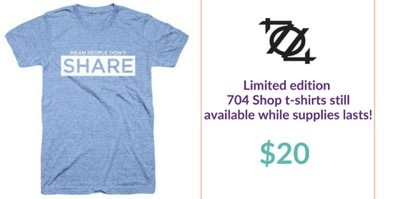 You can also look back at hashtags, #summershareCLT and #ShopForGOOD. In case you missed it- read the official Press Release launching the kickoff of SummerSHARE here and the official Press Release that announcing SummerSHARE’s results here.